Cut Length 12.5m of Excel Fusion 7mm Dinghy sheet line. 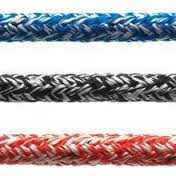 Pre-stretched Dyneema® core – very low stretch, very light weight. Easily tapered – further reduces sheet weight in areas that aren’t handled.